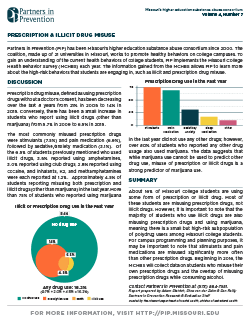 Drug use among college students is prevalent, due to factors such as increased freedom, unstructured free time, and perceived norms of college life. However, drug use is associated with adverse academic and health outcomes and risks to personal safety, and is a significant public health concern. Compiled here are resources related to drug abuse prevention among college students. 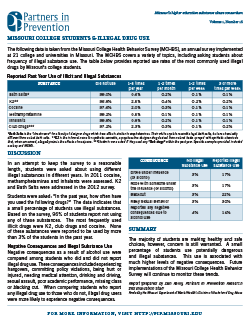 Among college students, rates of illicit drug use in the past year (other than marijuana) are estimated at about 20% .